A New York City apartment designed by François Catroux in 1990. 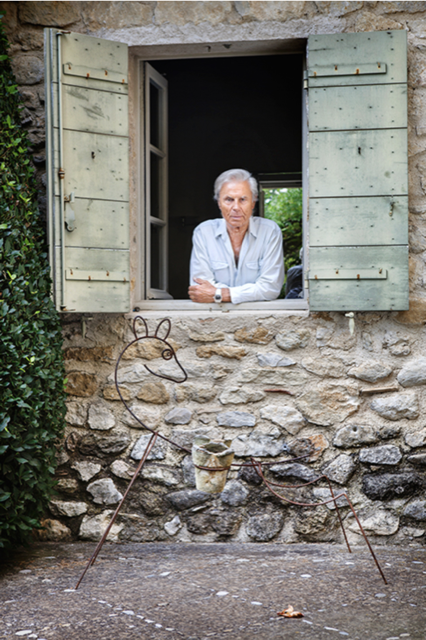 As the head of design at Bruce Andrews, I have immense respect for design distinction, such as that achieved by French designer François Catroux. Tapped as a member of the elite AD 100 for 2016, his monograph was published by Rizzoli late last year, and I must say I enjoyed it very much. 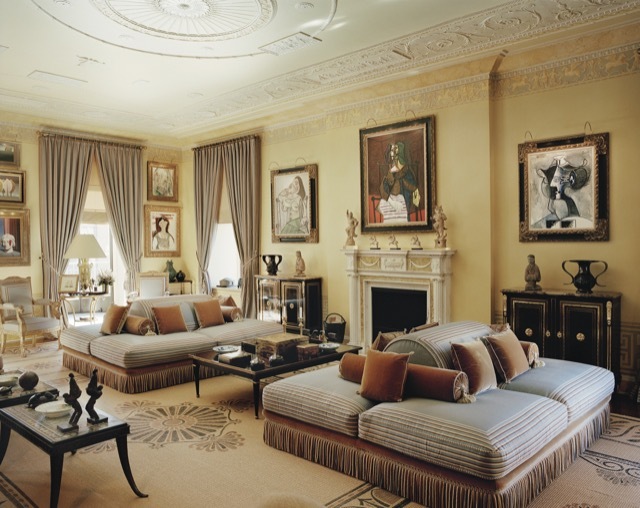 For a design talent who seems to stay quietly behind the scenes, his interiors are seriously powerful, and I highly recommend the book, quite simply titled François Catroux. He and I were born on the same continent—his birthplace of Algeria providing him with a frame of reference for a colonial elegance that he has never forgotten. Diane von Furstenberg in her Paris apartment, which was designed by François Catroux. 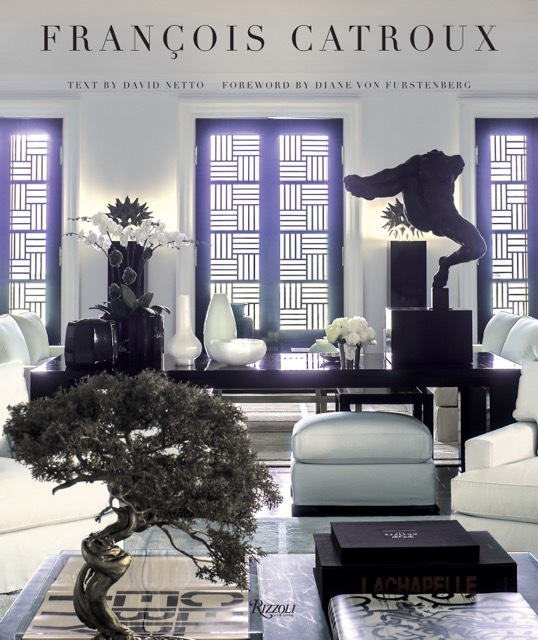 In the foreword to the book, Diane von Furstenberg, says, “François knows how to create disciplined grandeur and majestic architecture while combining them with incomparable comfort; he knows how to achieve both scale and coziness at the same time. This ‘grand coziness’ is something all his own.” I wholeheartedly agree that there is a soothing impressiveness to the interiors he achieves. A portrait of François Catroux by François Halard. The editors at AD say of the Parisian-based designer, “For nearly five decades François Catroux has been turning out spaces praised for their connoisseurship, voluptuous textures and shapes, and decisive swagger.” They note that his design philosophy is “to create the best skeleton possible before decoration.” The most recognizable names on his client list are Furstenberg and Barry Diller, Irina Abramovich, and Prince and Princess Pavlos of Greece. This beautiful room is in the Catroux country home in Lourmarin, the property in Provence a ruin when he found it and began restoring it. I always enjoy hearing such praise for an unassuming person like him—a romantic, moody person with a subtle presence and a vast understanding of styles. When he completes a project, it looks as if it sprang from the people who hired him to achieve it, a feat he likely owes to the fact that he is bringing in elements his clients love—whether their passion is sport or dance or dramatics. 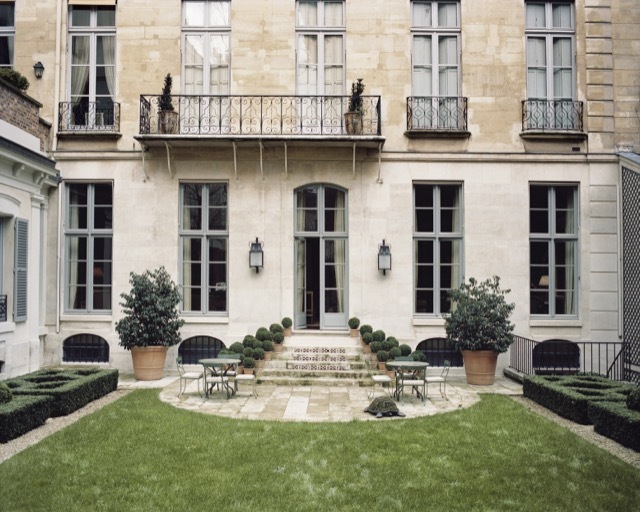 Catroux returned the interiors of this landmark building in Paris, a hôtel particulier, to the spirit of the original architecture. You see the Asian influences in this home in Hong Kong, which Catroux designed in 2009. This book reminded me of a belief I’ve long held: that luxury comes in many forms—from the luxury of comfort and convenience to the splendor of opulence and the abandonment of convention, which is how luxuriousness manifests itself in many of his projects. The cover of the Rizzoli monograph celebrating the work of François Catroux. Image © Marianne Haas. As I looked at the youthful feel he brought to a young Parisian couples apartment, while still giving it a quintessentially Parisian feel, I agree with the book’s premise that he is somehow defying time and growing younger with age. And he may be called the Neutral King but you won’t find bland combinations of caramel, taupe and ivory in his repertoire—you will see sophisticated elegance on par with the tones in the images I’ve chosen to feature with this journal entry. François and Betty Catroux at home in Paris in 2004 in front of a 1995 portrait of Betty by Philippe de Lustrac. Photograph by François Halard. The Wall Street Journal says of the decorator and his wife Betty: they “have been at the forefront of French style for decades. With a boldly modern revamp of their city apartment and the idyllic evolution of their house in the country, Catroux shows he is still at the very top of his game.” This is a game he has vigorously won. 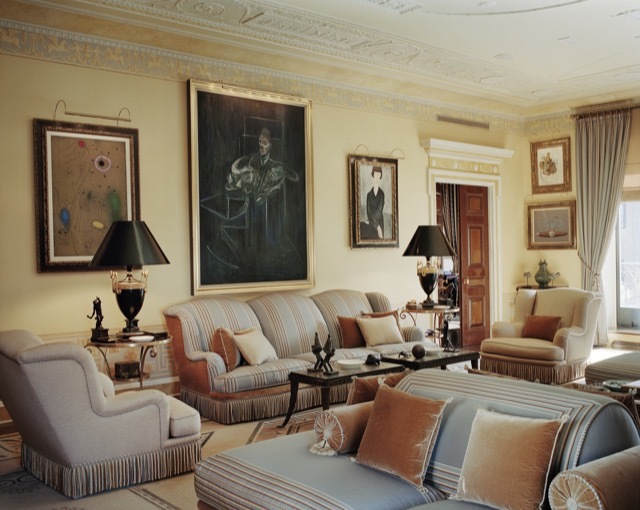 This post, The Grand Coziness of François Catroux, © Bruce Andrews Design, all rights reserved. Our furniture is now available through Nandina Home in Aiken, SC; Jalan Jalan in Miami, FL; Travis & Company in ADAC in Atlanta; and the Ellouise Abbott showroom in Dallas, TX. We will soon be showing in the Ellouise Abbott showroom in Houston and in the Michael-Cleary showroom in Chicago, IL.